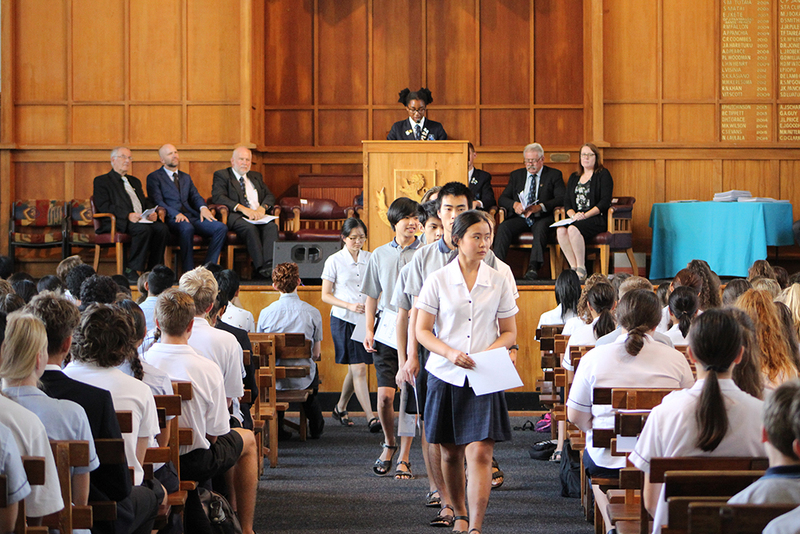 Above: Academic Dean Warwick Gibbs reads Miriam Leonhardt’s citation after she was presented with her Premier Scholar certificate by Headmaster Patrick Drumm at the Scholars Assembly. 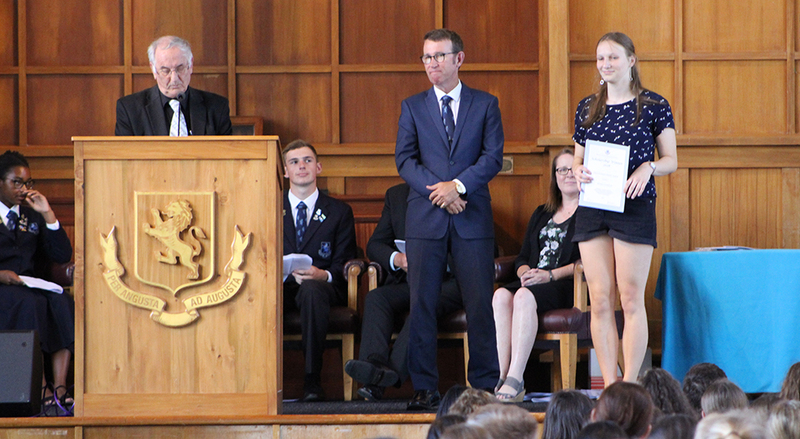 Mount Albert Grammar School congratulated Miriam Leonhardt on being the top female secondary school scholar in the country and celebrated its students achieving a record 114 Scholarships at its annual Scholars Assembly yesterday. 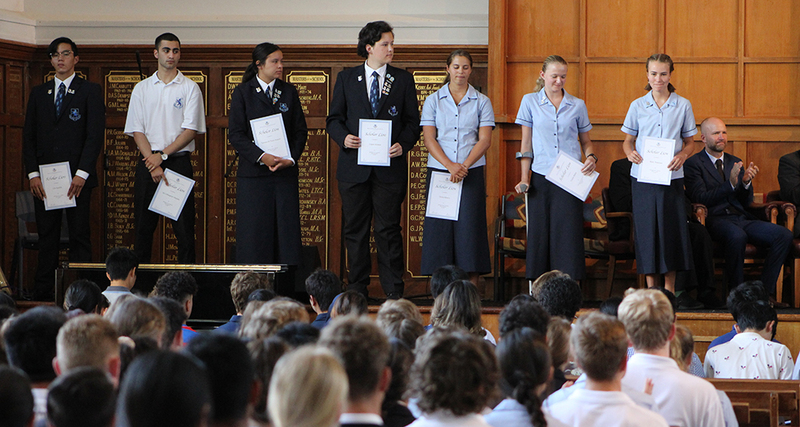 Miriam, the Girls Dux of 2018, is one of only 11 Premier Scholars in the country, with the other 10 all being male. 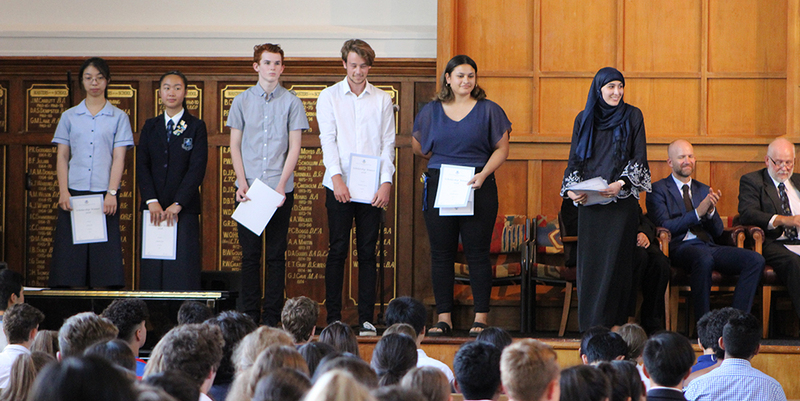 She achieved Scholarships in seven subjects: Biology, Calculus, Chemistry, Earth and Space Science (Outstanding), German, Physics (Outstanding) and Statistics (Outstanding). 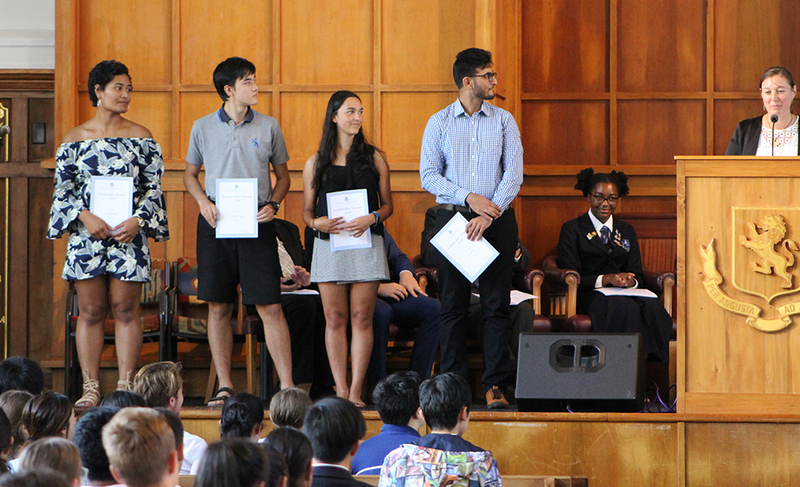 Premier Scholars – those who achieve at least three Scholarships at Outstanding level – receive $10,000 per year for three years towards their studies. The last time MAGS had a Premier Scholar was in 2006. 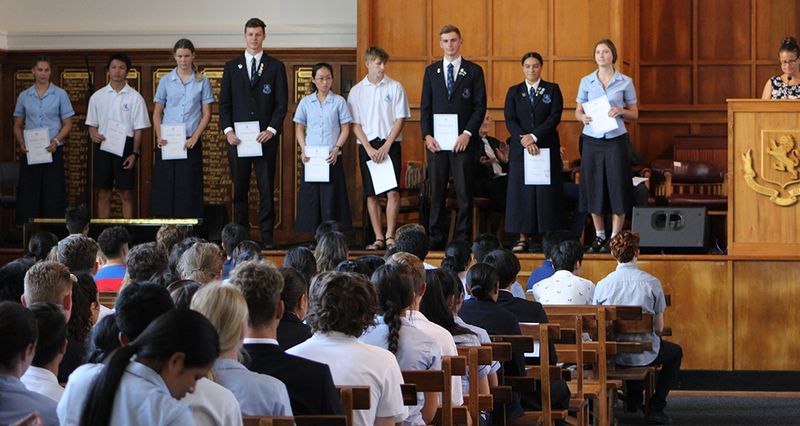 She will have her name inscribed on the school Honours Board along with 13 other students who achieved three or more Scholarships in the 2018 NCEA exams. Also one of the top scholars in the country is Jonathan De Pledge, who had the best mark in Physics and was only one mark shy of being the top scholar in Calculus as well. 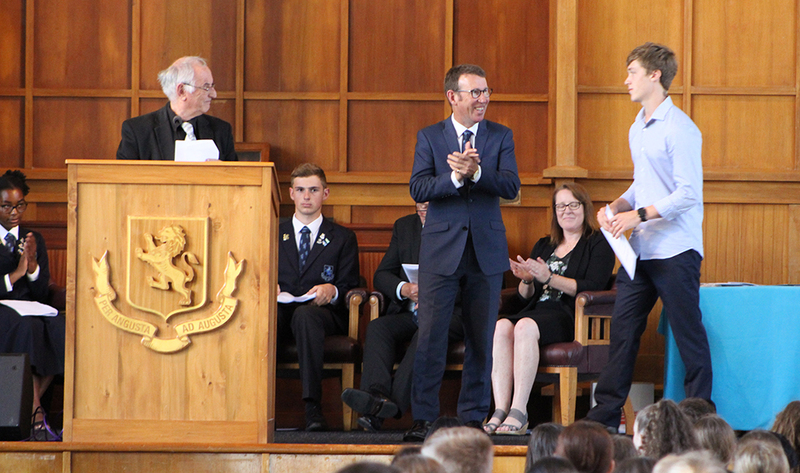 Jonathan, who was Boys Proxime Accessit in 2018, was named an Outstanding Scholar, along with our 2018 Boys Dux Gary He. 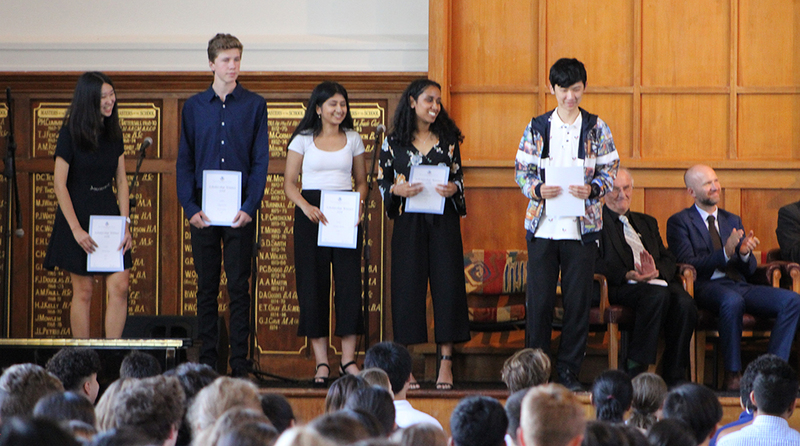 To be an Outstanding Scholar, students must achieve three Scholarships including at least two at Outstanding (O) level, or more than three Scholarships including at least one at Outstanding level in the same year. 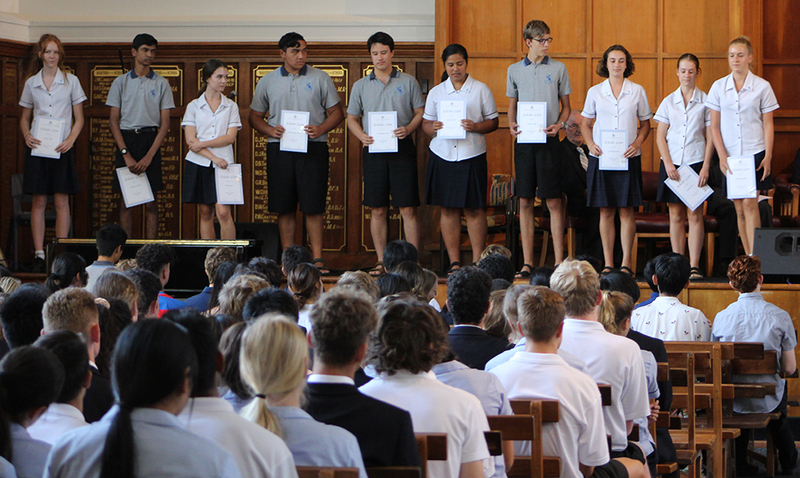 There were 46 winners of this award nationally in 2018 and these students gain $5000 per year for three years. 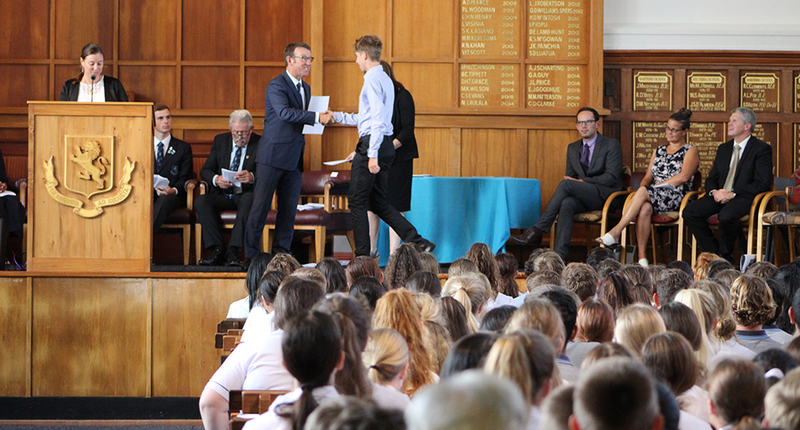 Jonathan achieved Scholarships in Calculus (O), Chemistry (O), Earth and Space Science, Physics (O) and Statistics. 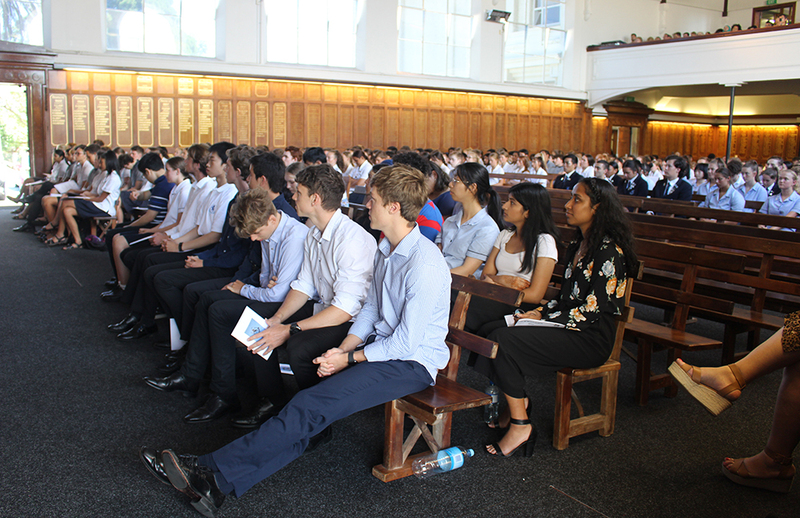 Gary achieved Scholarships in Calculus, Biology, Chemistry, Physics and Statistics (O). 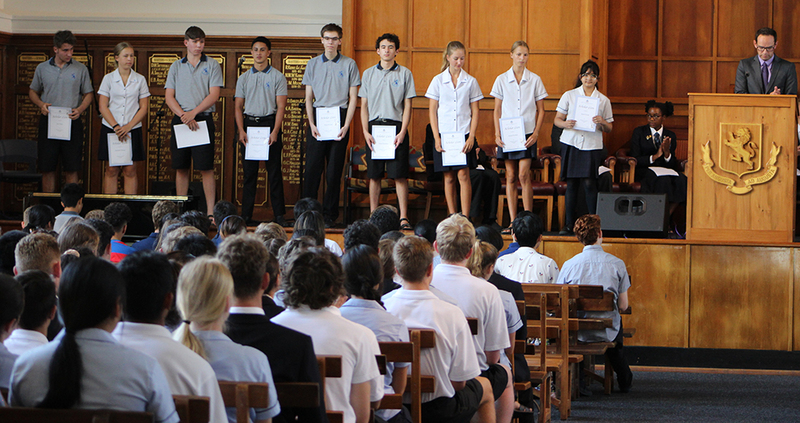 The other names to go up on the Honours Board (three or more Scholarships) are Anton Aish – Chemistry, Economics, Physics, Statistics; Henry An –Chemistry, Physics, Statistics; Hannah Houghton – Biology, Calculus, Health and Physical Education (O); Anvilly Huang – Calculus, Earth and Space Science, Statistics; Annie Li – Calculus, Japanese, Statistics; Josh Lim –Calculus, Chemistry, Physics; Liam Milbank – Calculus, English, Statistics; Liam Thompson – English (O), Physics, Statistics; Amber Yang –Classical Studies (O), English, History; James You – Calculus, Physics, Statistics; Lucy Zhang – Biology, Chemistry, Earth and Space Science, English, Physics. 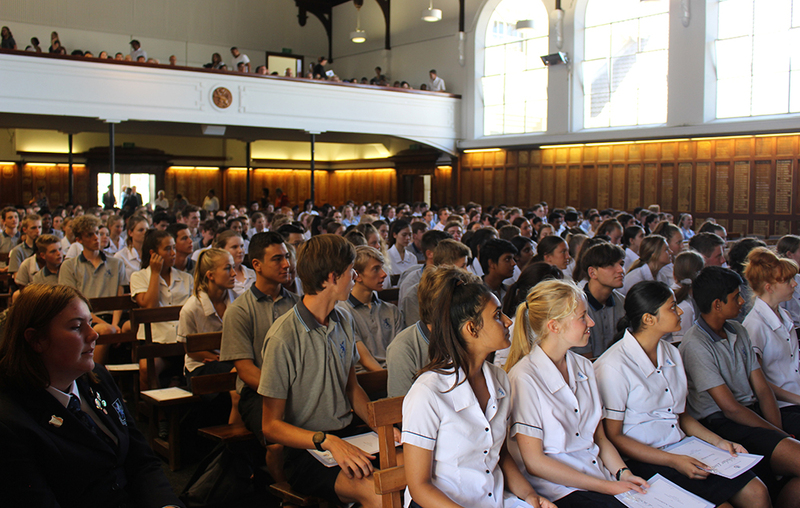 These students gain $2000 per year for three years. 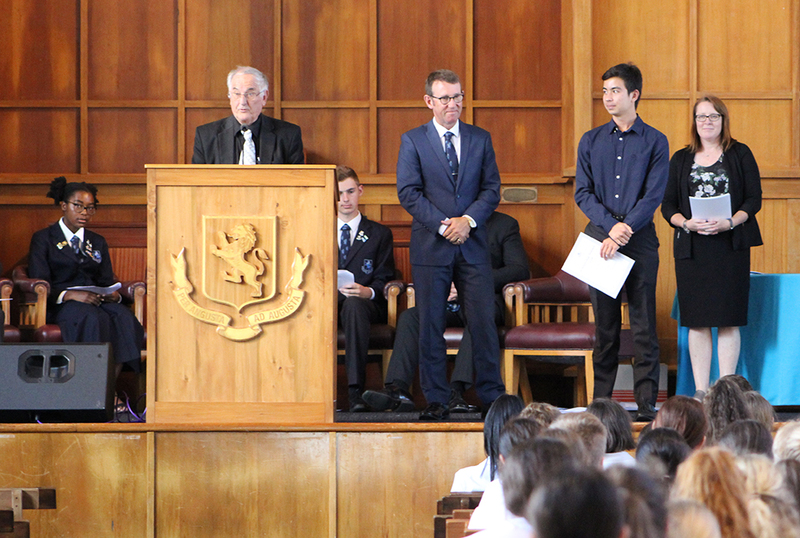 The assembly also saw the awarding of Scholar Lions to students who were Endorsed with Excellence in NCEA. 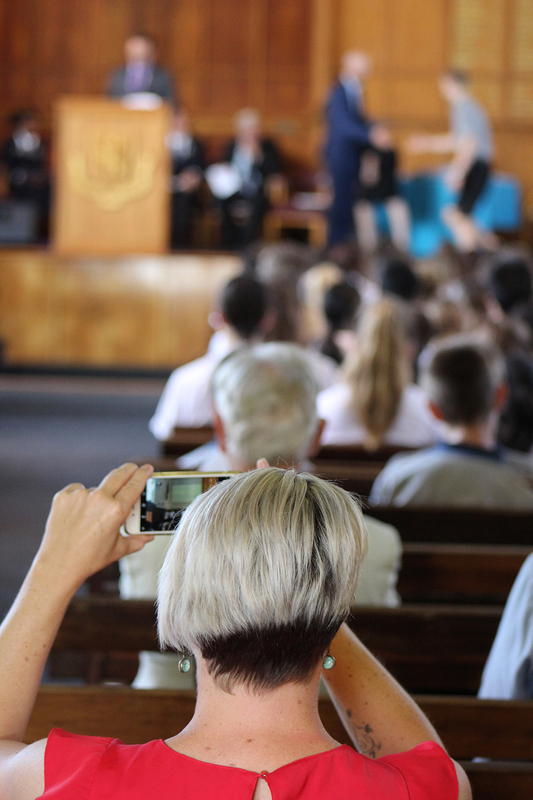 At Level 1, there were 139 recipients, at Level 2 there were 120, and at Level 3 there were 58. 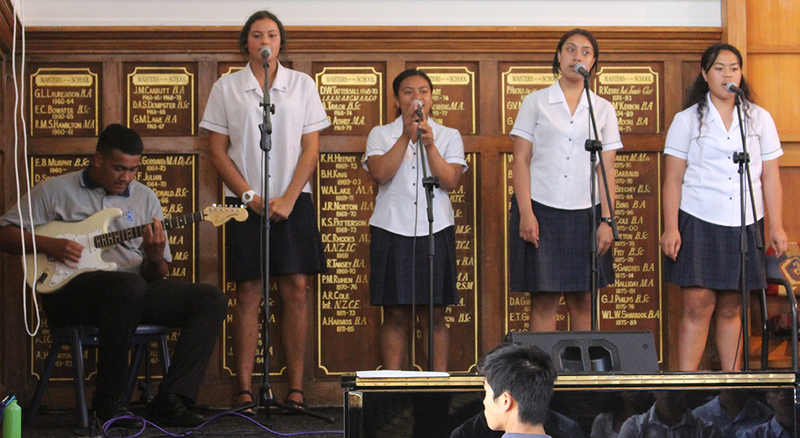 Guests were also treated to a musical performance by Uheina Briggs, Caitlyn Lao, Letele Lavea and Trinitee Tuitama, who sang Lucky, accompanied on guitar by Elikana Elikana. Jonathan De Pledge is congratulated on being named an Outstanding Scholar. 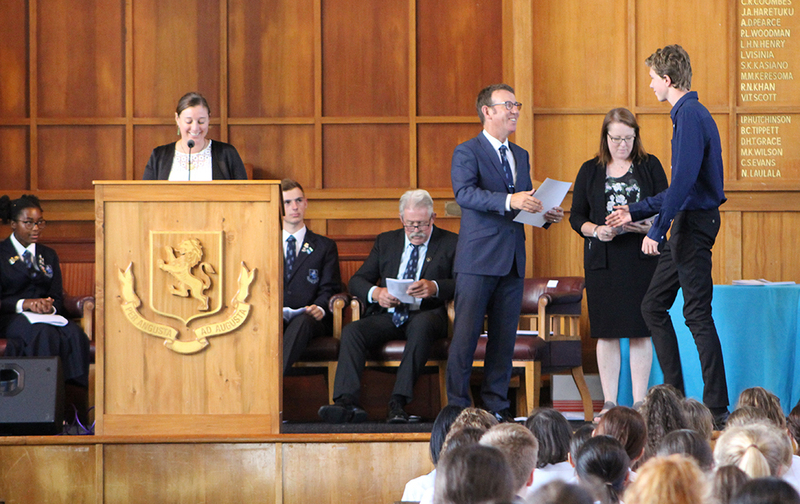 Academic Dean Warwick Gibbs reads Miriam Leonhardt’s citation after she was presented with her Premier Scholar certificate by Headmaster Patrick Drumm. Headmaster Patrick Drumm and Academic Dean Warwick Gibbs with Premier Scholar Miriam Leonhardt and her proud parents Beatrix and Rainer. 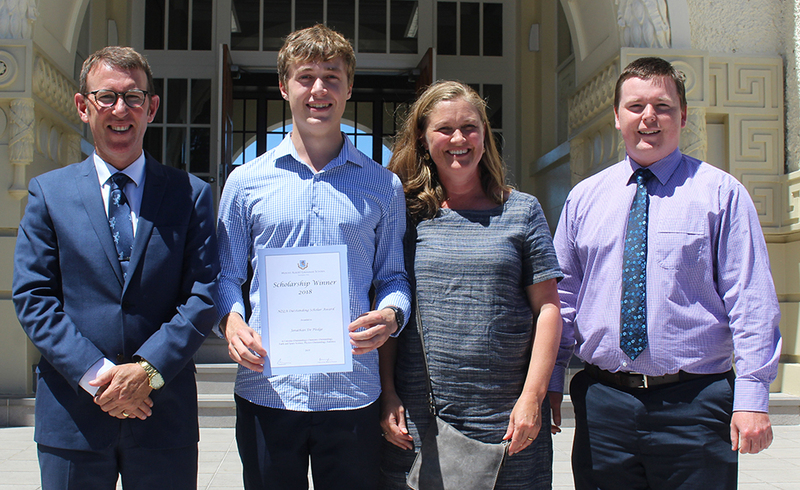 Headmaster Patrick Drumm with Outstanding Scholar Jonathan De Pledge, his mother Heather, and Mathematics teacher Michael Walden. 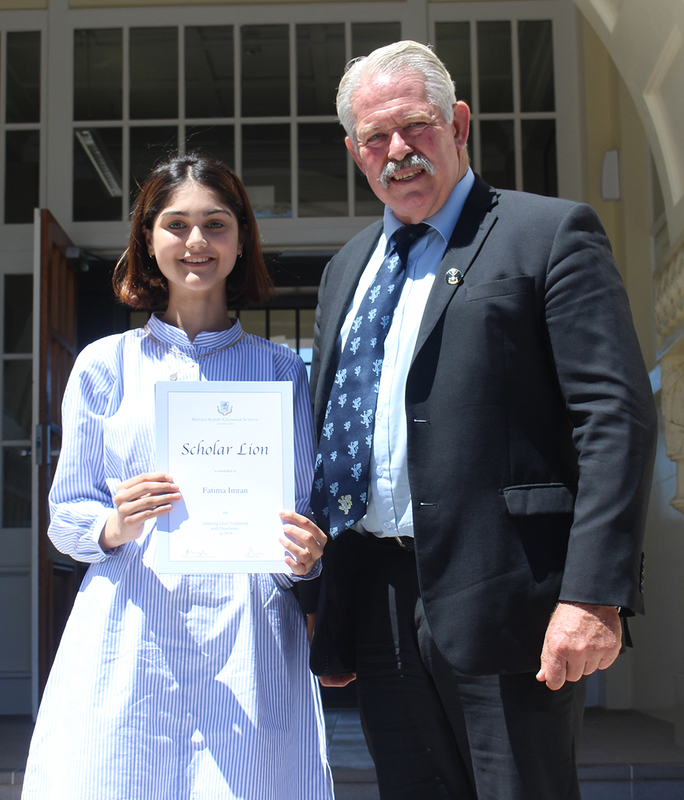 June Gray Charitable Trust Tertiary Education Scholarship winner Fatima Imran with BoT chairman Greg Moyle.